When you first sign up for Microsoft Dynamics 365 For Business, you will get a very simple application that will most likely satisfy only the most basic accounting needs. 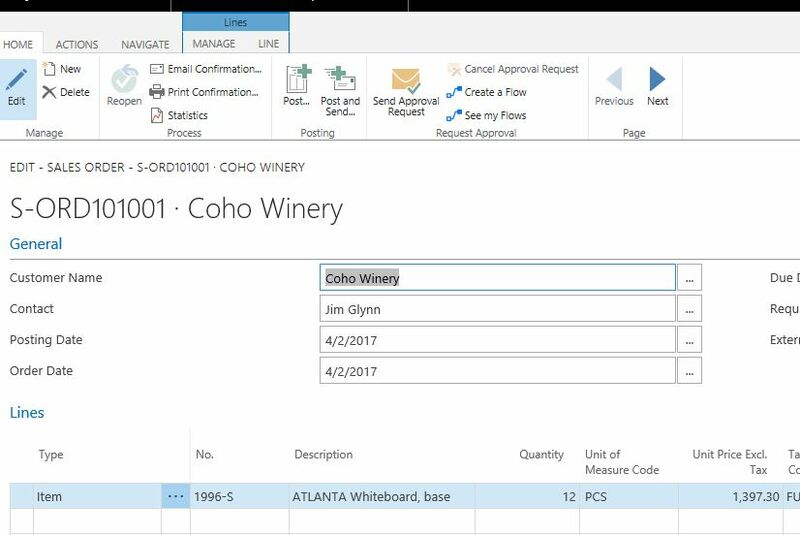 Using only the basic accounting functions is NOT the reason why you signed up for Dynamics 365 for Business. You signed up for D365 because you want an ERP software for the cost of an accounting software! 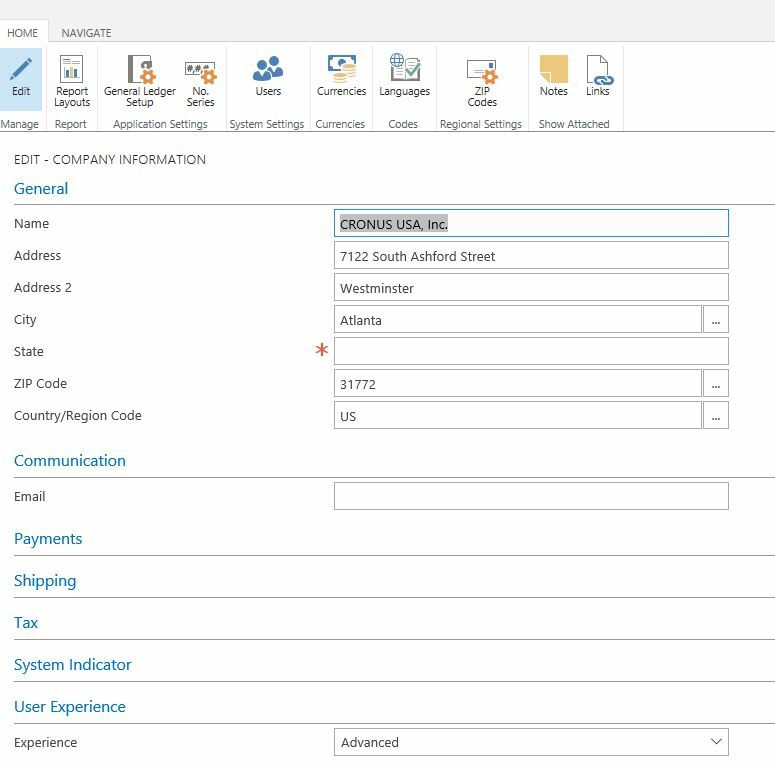 Now when you open the sales order, you’ll be able to have the ability to print simple pick tickets to enabling full manufacturing and warehousing features of Dynamics NAV! You can see the difference in the sales order heading when you leave the Experience as Basic verses Advanced. There are a lot more features that are unlocked when you change the Experience. For most businesses that signed up for D365 in the first place, I can’t imaging them sticking with the Basic user experience. Nonetheless, contact your solution provider to find out more features between the difference experiences. Hi Alex, I have enjoyed reading your blog posts to date. 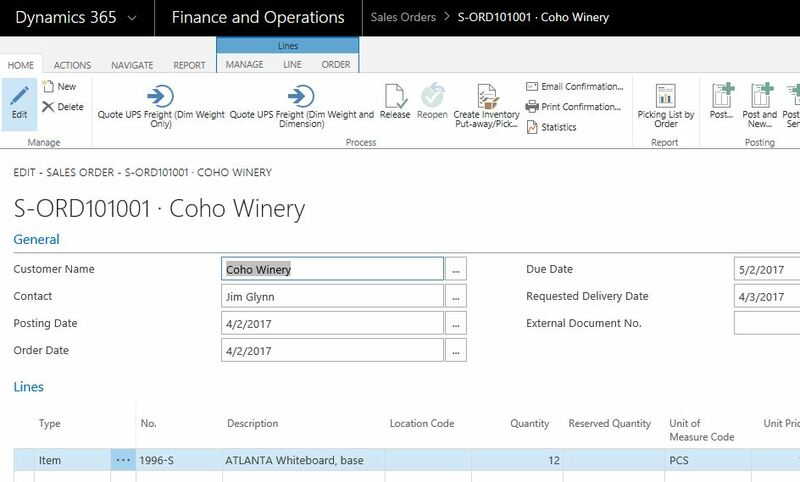 I’ve recently been playing around with Dynamics 365 “Finance & Operations for Business” on a trial basis. In company setup my options in the user experience field are Basic or Suite. It was already set to Suite and my UI on the sales order card is as your Basic example above. As a newb, I’ve been finding Microsoft’s naming convention for Dynamics 365 products rather confusing. Initially thought the D365 F&O Biz product was actually AX, and then was led to believe it was NAV, but have recently read it is not full NAV, but just based on NAV, and was known as Project Madeira? Yeah the naming is really confusing. Hopefully, they’ll change how it’s named in the near future. It does look like the Advanced feature is only available for Sandbox version. According to Microsoft, it will be available in Spring of 2018. That’s good to know, thanks Alex. Hi Alex, I take it that the “Configuration Mode” of old has been replaced by the “Experience” level? If I’m right on that can the “Experience” be modified to hide off fields that we don’t want the user to see? That’s a good question. I don’t think Microsoft actually published exactly what features are available between the different experiences… They only publish the functionalities in general terms. Well good to know that there are some tweaks but I am more comfortable to use the features as the original. Thanks for sharing your ideas.